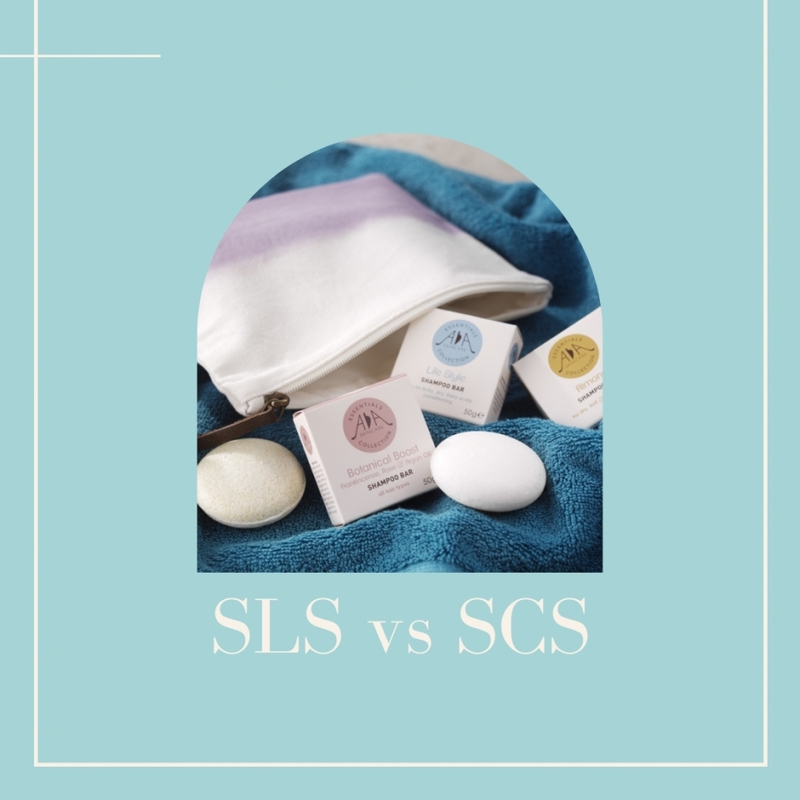 SLS vs SCS – what’s the difference? - Amphora Aromatics Ltd – Supplier of pure essential oils and aromatherapy Products. You may have noticed over the recent years that there have been concerns raised over the use of ‘SLS’ (Sodium Lauryl Sulphate) in ready to use shampoos and shower gels. cleaning agents and cosmetics that are on the market (toothpastes, detergents and soaps included). There has been an awful lot of negative press surrounding SLS; some controversial articles claiming it is a toxic ingredient that should be avoided at all costs and others stating that it has been linked to skin irritability and should be avoided (especially by those prone to eczema or with sensitive skin). We at Amphora value our customers’ thoughts and concerns when it comes to skincare ingredients and are always researching alternatives which are gentler on the skin (so you can rest assure that they are safe for you and your family to use). We are happy to assure our customers that all of our soaps, shampoos and shower gels are free from Parabens and Sodium Lauryl Sulphate (SLS). So you may have noticed that on some of our product ingredient lists, you’ll see Sodium Coco Sulphate listed. This is an alternative foaming agent that is derived from whole Coconut oil. The problem with SLS is that is has a relatively small molecular mass which enables it to easily penetrate the outer layers of the skin (meaning it is then able to cause irritation to the underlying skin cells). SCS on the other hand has a much larger molecular structure that prevents it from penetrating the epidermis (the outer layer of skin) and therefore not irritating the skin cells below. This is what makes it a far gentler ingredient to use and why we chose to include it as an alternative foaming agent in our ever-growing range of aromatherapy toiletries! Have a look at our full range of natural shampoos, shower gels and conditioners to find out more about what we have to offer. We also stock a great range of shampoo bars which are a great alternative if you are looking to reduce plastic consumption and waste. Light and compact, each 50g bar gives you TWICE as many washes as a 250ml bottle!